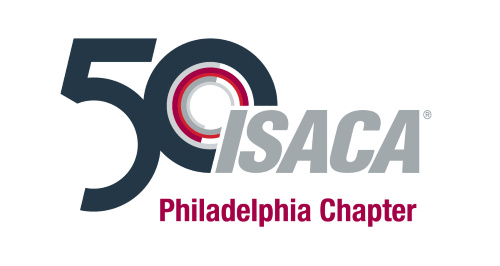 Welcome to the ISACA Philadelphia Chapter. The aim of the Chapter is to sponsor local educational seminars and workshops, conducts regular chapter meetings, and help to further promote and elevate the visibility of the IS audit, control and security profession throughout Philadelphia. ISACA is a world wide association of Information Systems (IS) governance professionals. The association currently focuses on assurance, (cyber) security, and governance and provides globally recognized certification in assurance (Certified Information Systems Auditor), security (Certified Information Security Manager), governance (Certified in the Governance of Enterprise IT), and risk (Certified in Risk and Information Systems Control). The recently launched Cyber Security Nexus (CSX) will help build a stronger cyber security workforce through technical training, performance based certification, conferences, career development, CPE opportunities, etc. This chapter is run by volunteers who are ISACA members nominated through ISACA Annual General Meeting (AGM). ISACA members' participation in running the chapter are highly encouraged.